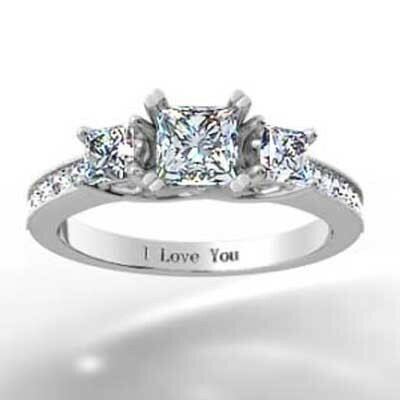 How would she describe the perfect engagement ring? Two words... sophistication and style. There is something special about a piece that boasts plenty of sparkle and elegance. The Three Stone Princess Cut Diamond Ring 14k White Gold is just one unforgettable example. 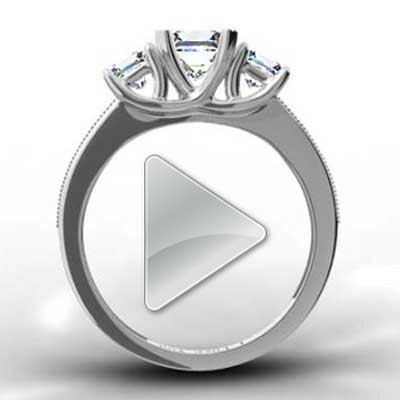 This modern design has breathtaking diamonds all along the band. It effortlessly captures the sophisticated style she is after! 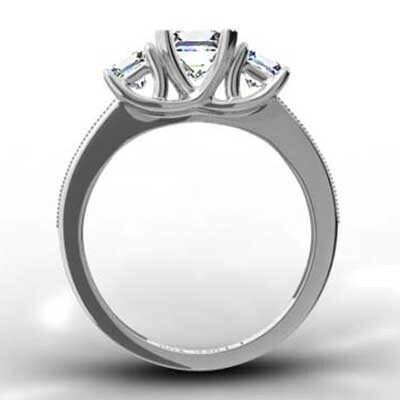 The quality materials, beautiful appearance, and customizable options make this one engagement ring worth saying yes to.